Destin Snorkel and Snuba was AWESOME. They took us out to the jettys where we could snorkel and check out the marine wildlife or if we wanted to – to Snuba dive. I can’t recommend this enough. 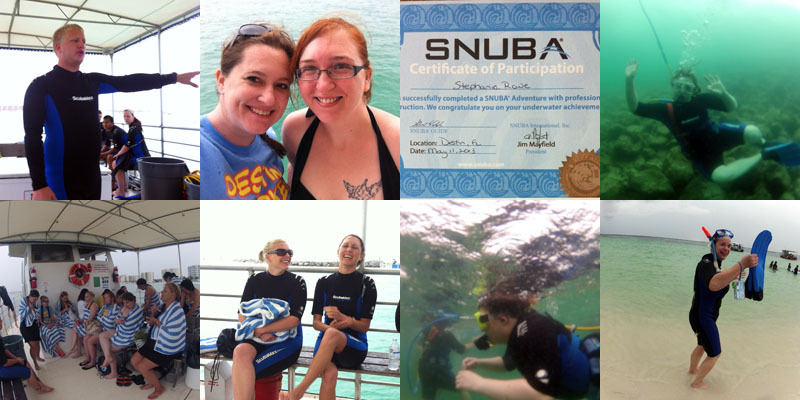 If you have ever wanted to dive but were not sure about getting all the certifications and possibly going too far under water, then Snuba is for you. If you are just visiting the area and don’t have time to get dive certified, then Snuba is for you. Basically you wear a weight belt to achieve zero buoyancy, a mask and a regulator that is hooked to a tank floating on a raft that you share with up to 3 other intrepid explorers. There is also a videographer that is shooting throughout your trip and offers a dvd for purchase after. I made sure to get the dvd as it had some great clips throughout our excursion. They also have a book on board showing the different types of marine life in the area to familiarize you with what you can see throughout your trip. This was easily one of my favorite parts of Brandcation and I can’t wait to bring my family back to try it! I ate a several places during my time at Brandcation 2013. Some of them I had prior experience with (well most of them really) while one or two were actually a new experience for me. Crab Island Cantina – We ate here on Salsa Dancing night and they had a live band complete with dancers. The food at the Crab Island Cantina is great mexican food. I enjoyed the enchiladas verdes with a side of rice and beans. The ingredients are fresh and the queso dip is to die for. Be warned – a medium margarita is a large in most places! La Famiglia Harborwalk – This restaurant is owned and run by a family from Rome. Their food is very good and the Steak Roberto is simply DEVINE. The tiramisu is stunning, but be advised they can and will run out nightly. This trip I had a mix of two different pastas (alfredo fettuccine and marina penne), a salad, and a lemon tilapia with a cheese cannoli for dessert. We had a very large group, so the menu was pre-decided. Everything was great and the staff was very attentive. Harry T’s – The iconic lighthouse on the harbor is located at Harry T’s. With views overlooking the Gulf and Destin Harbor, this is the place to enjoy the sunset. The food is great and the staff is friendly and fast. I enjoyed the shrimp and cheese grits for lunch and they were amazing. The fare is American with lots of fresh fish available and many options for little ones. We ate here after going to the beach and fit right in with many of the beachgoers looking for a great bite to eat prior to heading back out to the water. Grand Vista Grill – is located in Emerald Grande on the Grand Vista level (aka the pool deck). I enjoyed a grilled chicken salad with a honey mustard dressing on the side. The greens were crisp and the chicken was tender and juicy. This is a great place to eat after an afternoon swimming or exploring. Starbucks – we are all familiar with the best place to get coffee on the harbor, right? They are located on the upper level and easternmost corner of Harborwalk which makes popping down for a quick egg sandwich and morning latte a no brainer. The oatmeal is very filling and tasty as are their egg sandwiches. They also have pastries if you prefer to indulge your sweet tooth. A unique feature of the Harborwalk Starbucks is their drive up lane in the parking area. Pull up, pop in, and you will be on your way coffee in hand, in no time! Jim N Nicks Destin – if I told you that this was one of my favorite places to eat in Destin, it would not be a lie. They have stunning Bar-B-Que, amazing sides, and true southern sweet tea. (Seriously. If you don’t like your tea pucker up sweet, ask for it 1/2 sweet and 1/2 unsweet.) Jim N Nicks catered one of our functions during Brandcation and one of the owners, Dave came out to see us and say hello. We enjoyed pulled pork and pulled chicken BBQ, coleslaw, potato salad, icebox lemon pie and brownies. I was in heaven. Jim N Nicks is not located in the Harborwalk village but instead is a few miles east directly on Hwy 98. If you find yourself hungry at lunchtime on Tuesdays, stop in for Taco Tuesday and get the best lunch in the area. The BBQ pork tacos can’t be beat. All the local know about it, have seen it and most have visited it. How many of you have actually stayed here? The Emerald Grande is located right on Harborwalk Village and its amazing shops, restaurants and nightlife. Harborwalk Village even has a Kids Zone and is opening a Zip Line course and rock wall on 6/15. I can’t wait to try it out and fly across the length of Harborwalk in the blink of an eye. Emerald Grande and Harborwalk are quite a gem in the Destin community and I am happy to visit them often. 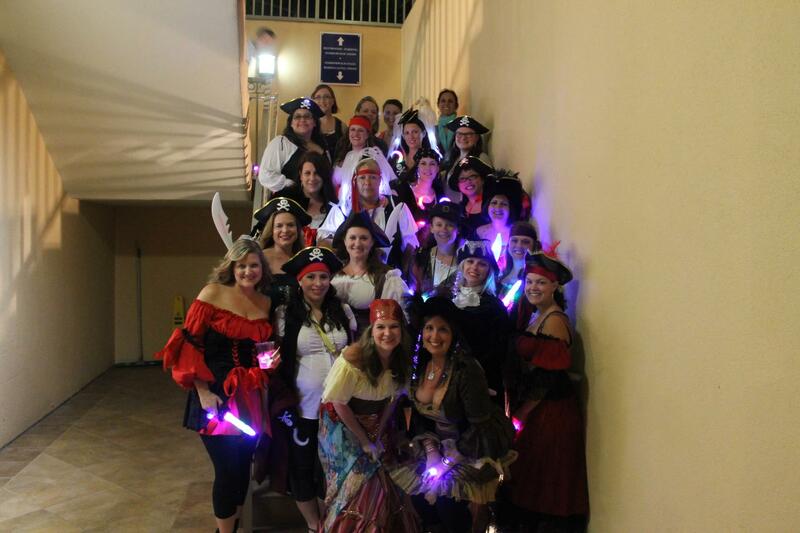 Friday night our group sailed aboard the Buccaneer Pirate Cruise. It was the Scurvy Dogs 21+ cruise and oriented towards adults with great mixed drinks, bawdy humor and entertainment galore. I sailed once before on the Buccaneer with my family on the Treasure hunt cruise. The first time out was the Treasure hunt and very child oriented. The kids were kept VERY busy with water gun fights, swabbing the deck and the very important TREASURE HUNT. The kids had a blast and have been asking to go back since we last went. The Scurvy Dogs cruise was excellent entertainment for the adults with dancing, games and much canon fire. The music was great and the staff really knows how to entertain and keep everyone’s attention! If you are looking for something to entertain the family and enjoy the local views without actually going into the water – this is it. (Yes, there are times when you can be too sunburnt to go back out!) Tell Capt. Cannonball hello from Stephanie! 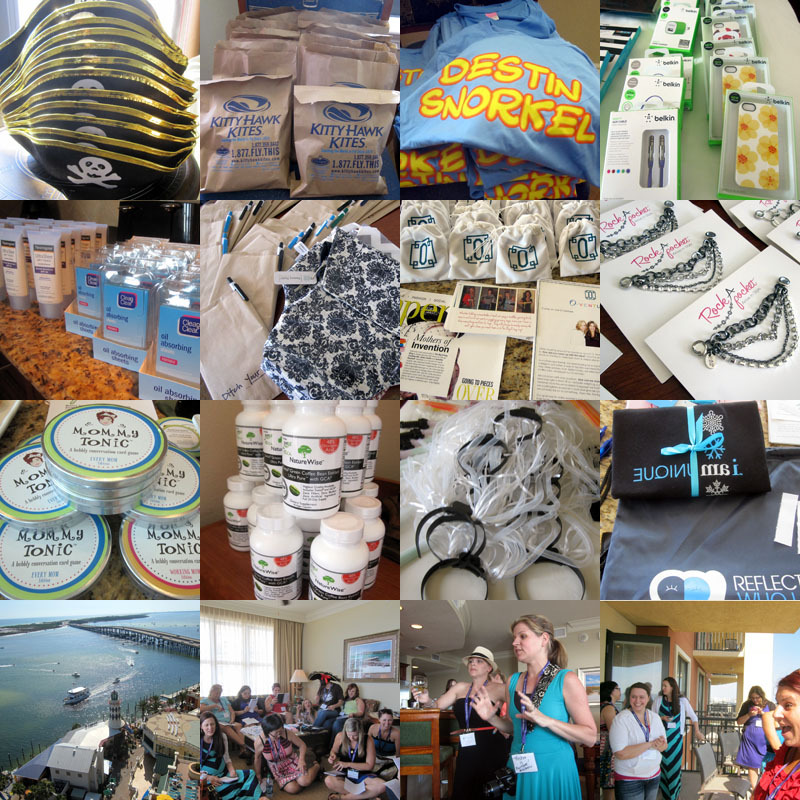 Brandcation DESTINation – Thank you! 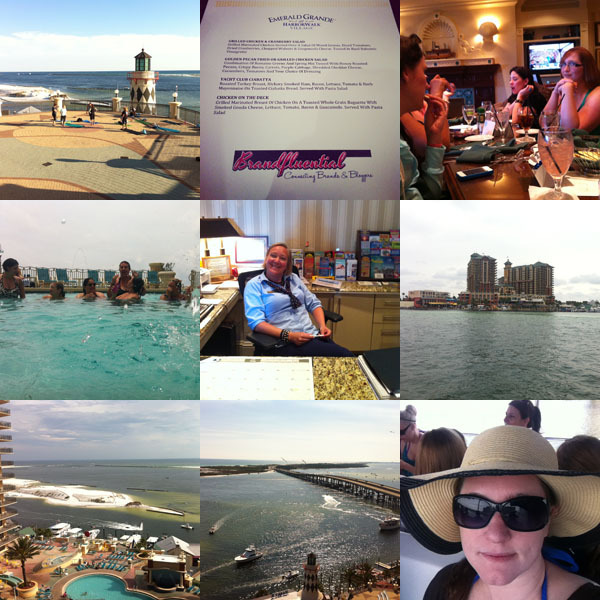 Last weekend I attended Brandcation DESTINation held at the Emerald Grande. It was wonderful! I met an amazing group of women who also happen to be professional bloggers. Being around them was fun, educational, and uplifting. Thank you ladies. In addition to this wonderful group I connected with, I also was able to develop relationships with a few brands and sponsors and I want to thank all of them. Without them, Brandcation would not be possible! First and foremost is Emerald Grande. We stayed onsite at the resort and it was utterly delightful. More on this experience soon! 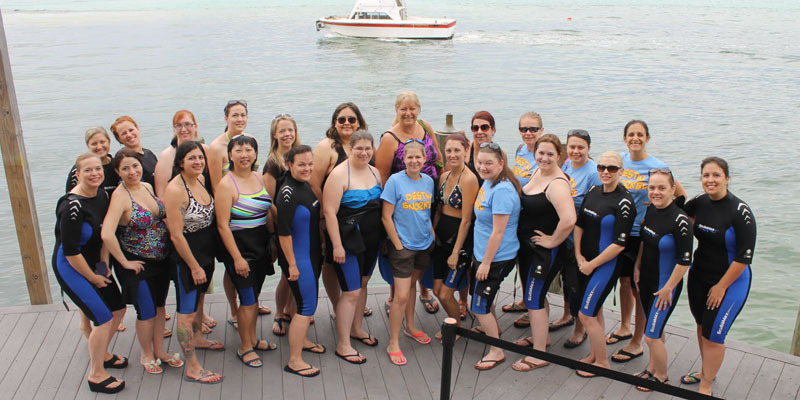 Next was Destin Snorkel which was an amazing experience. Again, more soon! 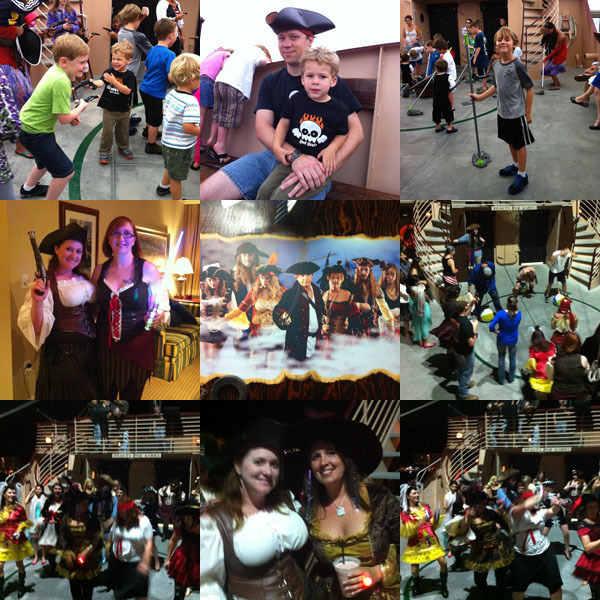 We went on the Scurvy Dogs cruise on the Buccaneer Pirate Ship. Places we ate included the Grand Vista Grill onsite at Emerald Grande, Jim N Nicks BBQ , Crab Island Cantina, La Famigila, Harry T’s, and Starbucks. We also had a good number of swag items and sponsors! We started getting local farm fresh eggs from pastured chickens. It’s been pretty awesome seeing the difference in eggs from color to size. And the yolks! Rich, brilliant yellows instead of the tepid sad yolks from store bought eggs. I am striving to bring local foods into my home more and introduce fresh, clean ingredients. To that end, I have some serious eggs to go through soon because we have another 2 dozen coming in the next week. 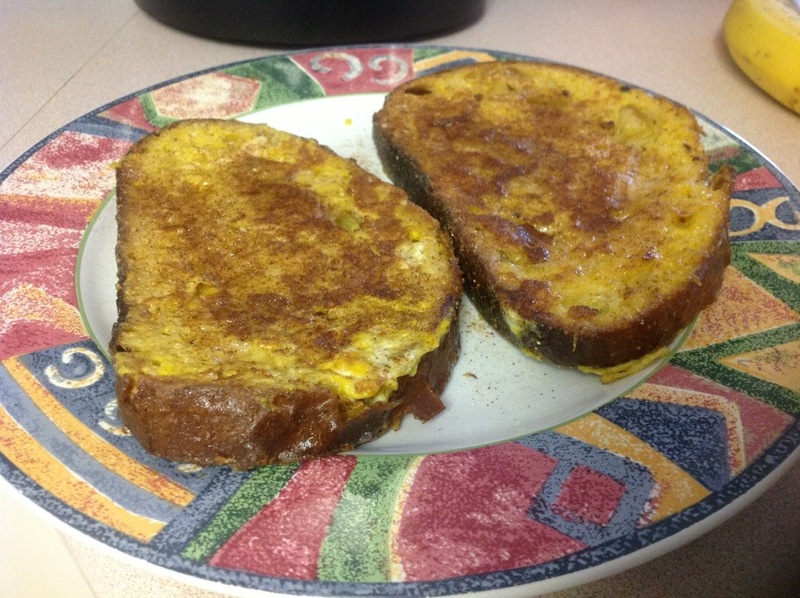 Short of quiche or frittata, French toast is great for using eggs and we also get to use the amazing pane bread I got at Trader Joes from my trip to Atlanta recently. This was one of those ideas where I just threw all the ingredients together and hoped for the best. Three eggs coated four pieces of bread, and I ended up using about 6 eggs in two different batches. They were whisked together with a dash of vanilla powder and a dash of cinnamon. In a hot pan, I melted butter and coated it. 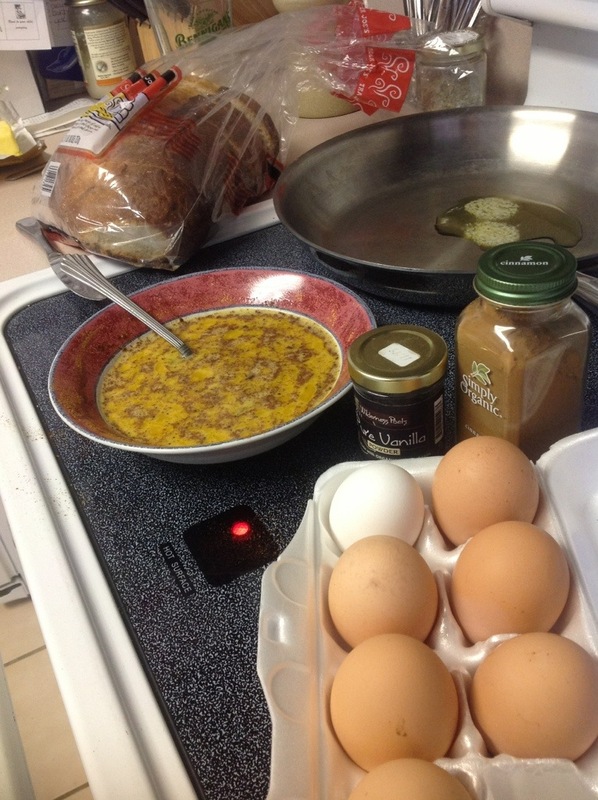 After cooking the bread to a golden brown on each side, I sprinkled cinnamon sugar on the finished pieces. We topped them with a little maple syrup, and man, it was heavenly. What are your favorite breakfast items using eggs? I’m going to need more ideas soon!